It hasn’t rained for about three weeks now. Grasses and small waterholes are getting dry but look beautiful because the wilting grasses look yellow with green patches. Still we have great game around. 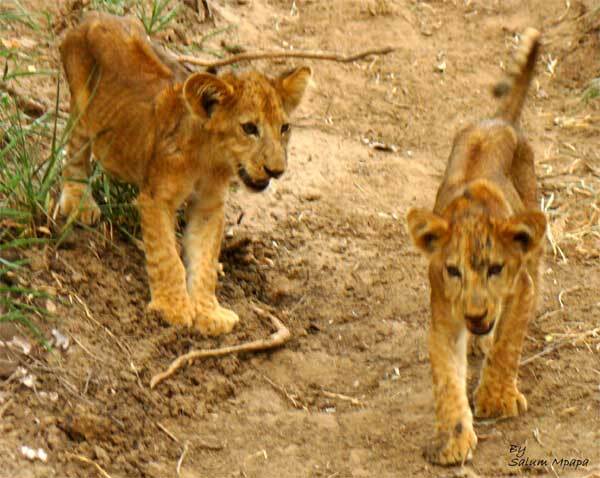 On the first of February I saw seven lions including two new cubs about a month old. Very happy to see the little lions and the number of our Lions has increased. A day before yesterday Walter saw them again at the lollipop crossing when he was on a morning drive. In the evening I took three guests to see if we could find them. When we got there we didn’t find them but we had a drive around that area, it was quiet and what we could see were a lot of Vultures on the Palm trees and we could smell a carcass. After like five minutes one Lioness appeared from the bushes from where the carcass was. We were on the riverbed and Lioness was walking on the cliff. She was calling and looking around, looked like she was looking for the rest of the pride. After a few minutes two cubs about nine months appeared and they went to join with the Lioness. The lioness and one cub climbed the tree about five meters from us and that tree was leaning towards the vehicle and when they where up we could see them almost two meters above the roof of the vehicle. 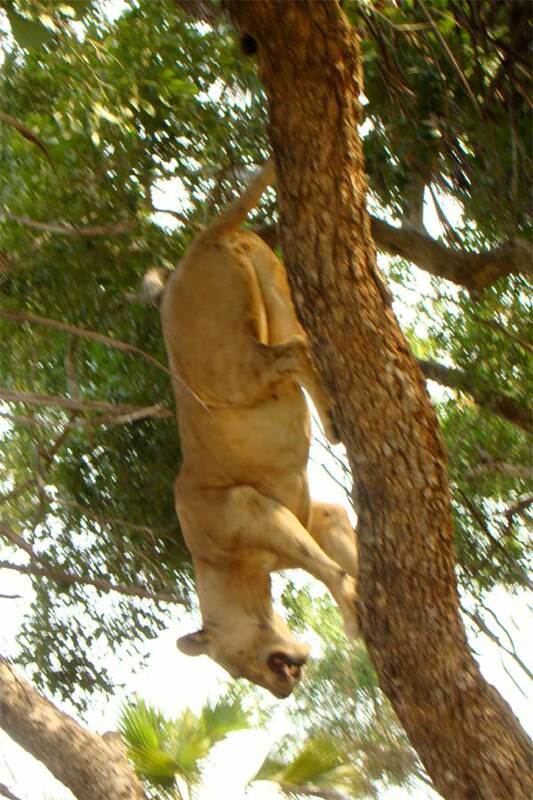 They went up the tree just to get a good look at the rest of the pride and then came down. Just after the lioness and cub got down the rest of the pride appeared from the bushes and they greeted each other. This time all seven including the new cubs where in the riverbed. We decided to open the bar and make our gin and tonics while we where watching them. We watched the little cubs nursing and playing a bit. 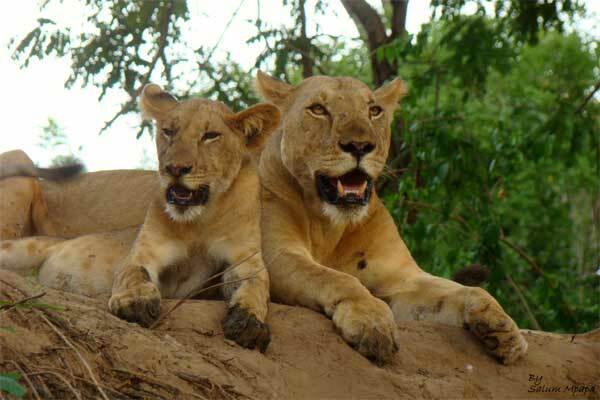 This entry was posted in Salum, Wildlife and tagged Beho Beho, camp, lions, safari, salum, selous. Bookmark the permalink.